Yu-Chang Hsu, a professor of educational technology at Boise State University, usually teaches grad students. But for the past two summers, he has taught high school seniors to make their own apps with App Inventor, as part of Upward Bound, a program designed to prepare low-income students for college enrollment. Hsu notes that making functional apps quickly is fun for students, and that app design is a great way to learn problem solving skills. 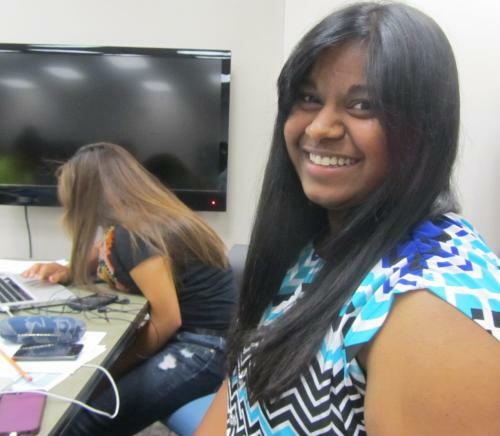 One of his students, Shaleeni (shown here), won a state competition with the app she designed. Learn more about Yu-Chang's work and Upward Bound at this Boise State Public Radio story. Photo credit: Boise State Public Radio.